Time has flown since our Spring newsletter and so much has been happening here at Sanctus Ranch. We are so blessed to have you praying for us and supporting us and the vision of Sanctus Ranch. 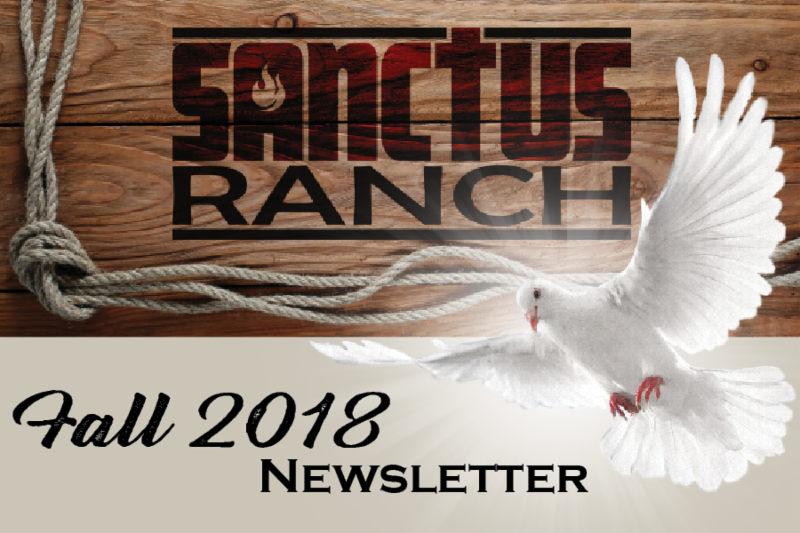 Now that Fall is in full swing and the holidays are nearly upon us, we wanted to take a moment and reach out to you and let you know what’s been going on here at Sanctus Ranch! Amen! Psalm 34:9-10 says, “Fear the LORD, you His saints, for those who fear Him lack nothing. Young lions go lacking and hungry, but those who seek the LORD lack no good thing.” We are leaning on the Lord and taking Him at His word, and what He is doing is amazing! Take a look! Vespers Lodge is completely finished with 20 guest rooms, 38 queen beds and 20 twin beds has hosted more than 20 groups in 2018. Corpus Lodge is nearly complete with the ability to hold up to 30 guests and is now ready to take your reservations for 2019. The Vestibule at Magna Hall is completed with a projection screen and the ability to hold over 50 people. 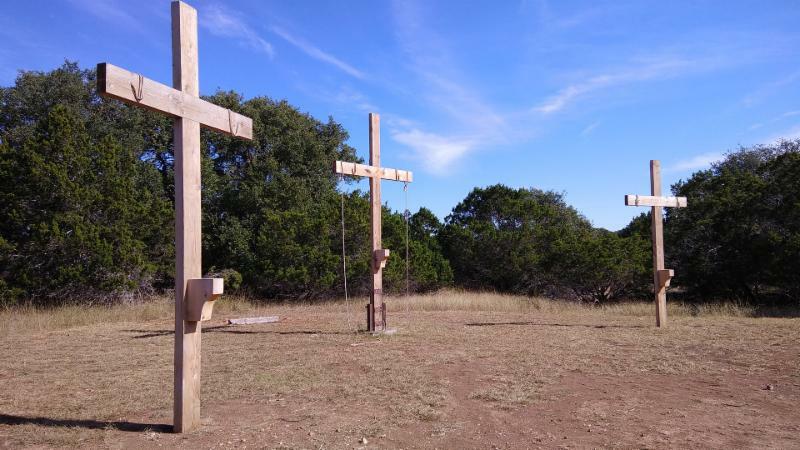 Outdoor Stations of the Cross are nearly complete with three large crosses in Calvary field. Vespers Lodge is hotel style lodge with hand-made furnishings, private bathrooms and a different Saint theme for each room. 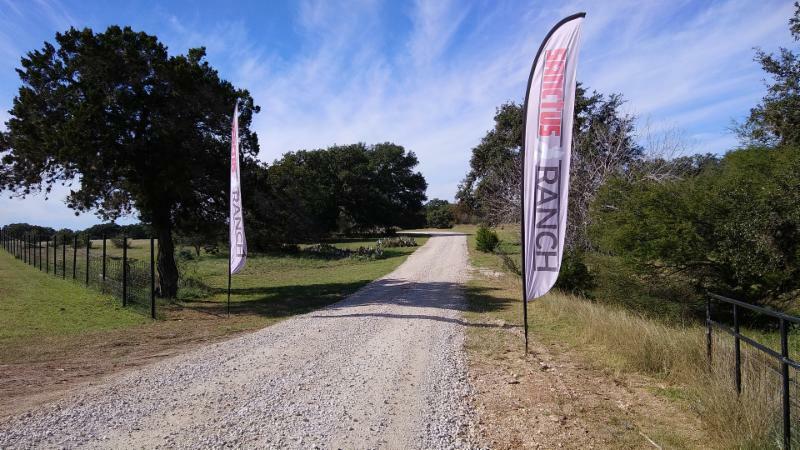 Sanctus Ranch is now booking reservations for events, meetings, day retreats, weekend retreats for 2019. 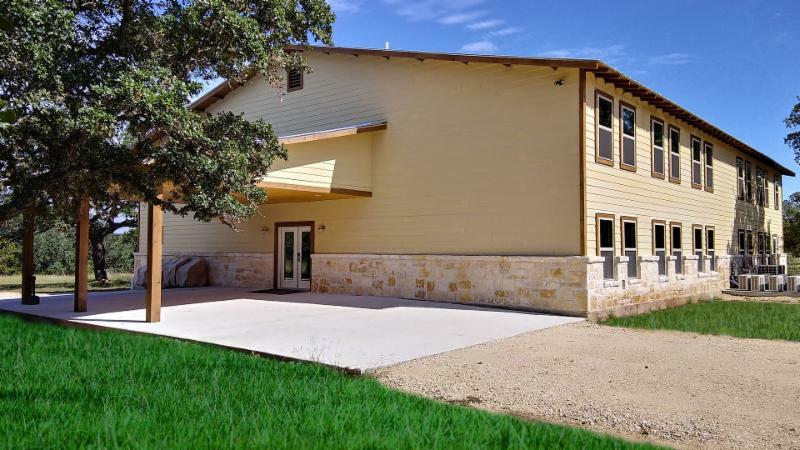 Embracing this vision, Sanctus Ranch is committed to a full calendar of hosting guests in an upscale, luxurious atmosphere that will provide an unparalleled experience for both the corporate professional and the religious retreatant. We believe this unique vision will set Sanctus Ranch apart as the preeminent religious retreat center and corporate training destination in south Texas. Our 2nd Annual Fall Back To Faith day retreat in October was a great success. We started the day with The Holy Mass with Fr. Clay Hunt. We had 5 dynamic speakers, an amazing music ministry and a delicious lunch. The focus of the day was on Discipleship and what it means to truly walk as a disciple of Christ! 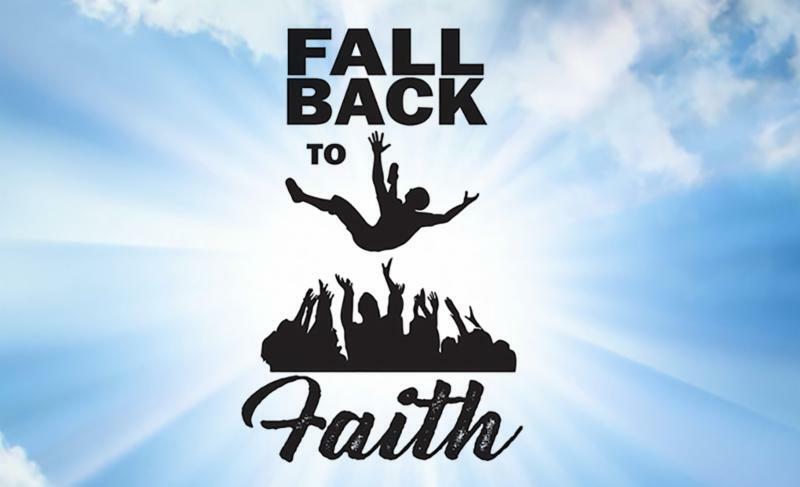 Be sure to join us next October for Fall Back To Faith! 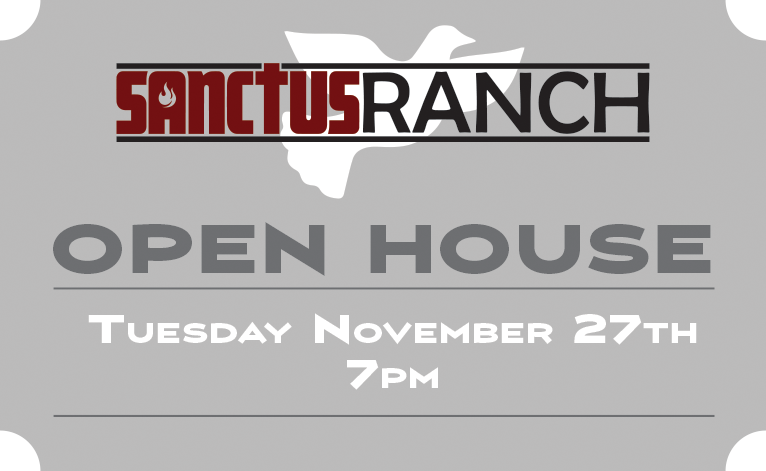 This is a special evening to learn more about the vision of Sanctus Ranch and become a part of our mission! Come here the amazing story of laity coming together to advance the Kingdom of God, and learn about opportunities to partner with us! 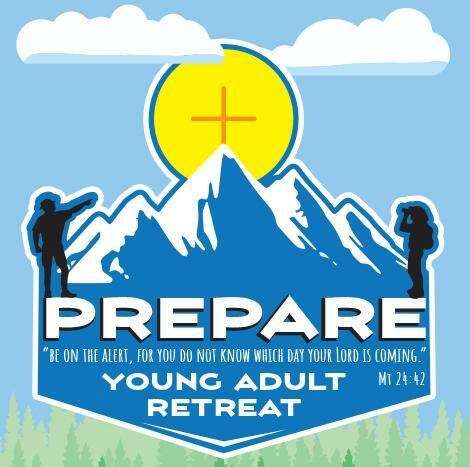 This retreat is for all unmarried young adults ages 18 - 25 preparing for a life of service to our Lord! Contact us to book your retreat today! We are deeply appreciative of everyone who has helped Sanctus Ranch become a reality. Thank you for your gifts, prayers and support building up God’s Retreat Center.